Loose teeth: In kids, tooth loss means a sign of losing the baby teeth to make way for permanent ones. But if this problem bothers an adult, then it might impact their lifestyle. From chewing food to speaking, the pain becomes quite noticeable. A loose tooth commonly occurs as a result of sports injury and accidents. The problem might at times extend far beyond a loose tooth. Jaw damage or nerve irritation does not show any symptoms at the beginning and becomes quite unbearable as it turns severe. If you find yourself in this unfortunate situation, then do not wait any longer as the damage can get worse! Just go and Google for urgent care dentists near you. You will also find that Dr. Robert Don has great reviews when it comes to emergency dental care. A swollen jaw: A swollen jaw is the result of a salivary gland infection, bacterial infections, and other localized infections. To make matters worse, a swollen jaw gets quick attention causing quite the embarrassment. If you notice a decrease in taste, bad breath, difficulty swallowing, difficulty breathing or feel excessive saliva then its time you consult an emergency dentist near you. It is essential to pay attention to the dentist’s reputation too so that you consult the right specialist in such a crucial situation. If you live in California, then you are in luck because Dr. Robert Don is the reputed specialist who provides emergency dental care with no insurance needed! A headache: There are hundreds of reasons that might cause a headache. A poor night’s rest, tension, and stress are just some of the most common symptoms that will contribute to a headache. Migraines and some other major headaches can even be chronic. It is the latter that you need to worry about. If you find yourself in a situation experiencing chronic headaches, then it might be the result of teeth grinding or bruxism. The teeth connect to the brain and the harsh grinding action causes chronic headaches. 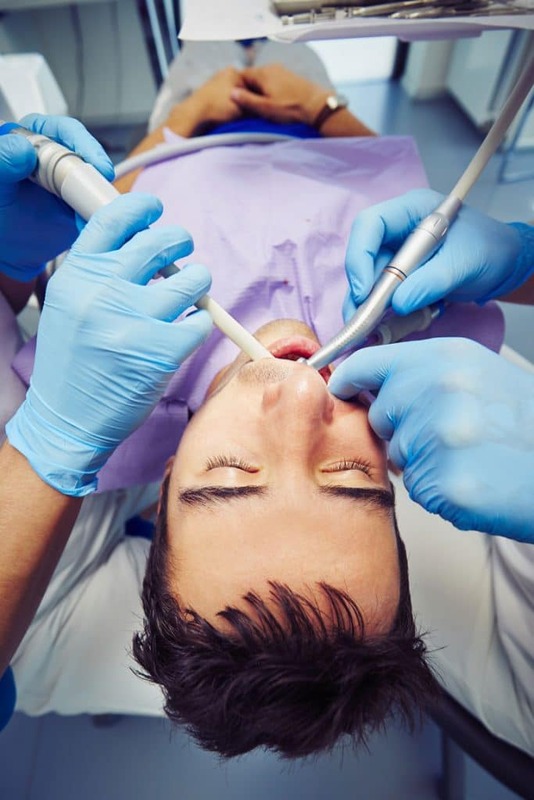 Such a situation needs immediate attention and hence finding an emergency dentist near you in Irvine such as Dr. Robert Don is the best solution provider to your problem. It’s only when we experience dental issues that we realize how we took our oral hygiene for granted. It always better to be safe than sorry. Which is why going for a regular dental check-up can avoid most of the dental-related problems. If you feel any of the above dental conditions or any other issues that you feel deserves immediate attention then do not wait! Act before it’s too late and search for an urgent care dentist near you such as Dr. Robert Don. Just take your phone and dial (888) 204–5010 for emergency dental care with no insurance. Dr. Robert Don will be happy to help you out!